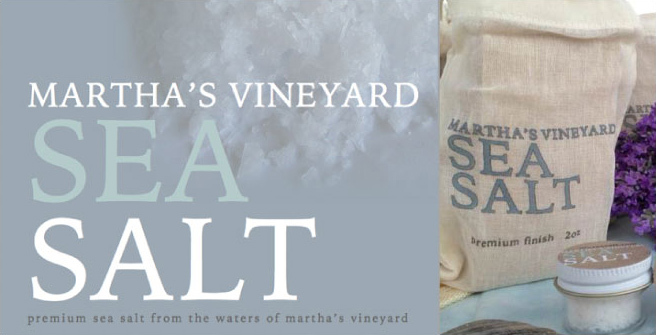 Martha’s Vineyard Sea Salt responsibly packages their product in custom made bags from Eco-Bags Products! You know what I love? Food. And you know what makes everything taste so good? Salt… even butter is nothing without it! That is why I fully endorse Martha’s Vineyard Sea Salt – not only is it delicious coarse sea salt, perfect for topping sugary confections or on top of a variety of veggies – but it is also responsibly produced and packaged! The salt is sourced locally on island and is packaged in a variety of ways – our favorite, of course, are the gauze drawstring bags that we here at Eco-Bags custom made for them. Ears of corn, shucked and kernels cut off. Size up the pile of kernels in front of you and grab a skillet to fit. You should have enough depth to be able to sauté without overflow hitting the floor. Turn on stove to high, add butter – anywhere from 2 Tbsp. – 6 Tbsp., depending on the amount of corn. Let the butter brown, don’t rush it. Add the corn to skillet and let it sit – no stirring! You want the natural sugars in the corn to begin to caramelize and you will smell and see (darkened kernels) when that occurs. Now toss (or stir) to give the other kernels a chance. About 5-7 minutes latter, add the chopped tarragon, and stir. When you can smell the tarragon remove the skillet from the heat. Squeeze lime juice over top (optional). Plate up, and finish with Martha’s Vineyard Sea Salt. Serve immediately.